-General Admission entrance will be located at the south doors of AAC. Patrons can line up on Plaza on show day and will receive their floor wristband upon entry when doors open. 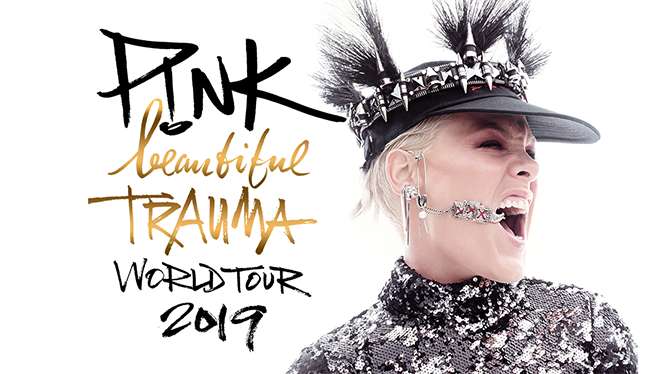 After 2 sold out shows in 2018, pop sensation P!nk is bringing her Beautiful Trauma World Tour back to American Airlines Center on Sunday, March 24, 2019 with special guest Julia Michaels. Point and shoot cameras allowed. No professional camera equipment or detachable lenses allowed. No selfie sticks. No iPads.